Looking to improve your hard ballistic protection products? On the battlefield or in hostile environments, military and police professionals are putting their lives on the line to protect others. Their own safety is just as important – no ifs, no buts, no maybes. From cars to aircraft and vessels, cash transporters and private vehicles – passengers rely on armored transport for critical protection against ballistic threats. As well as protection, vehicles must deliver the reliability and maneuverability users need to navigate challenging danger zones. That’s why, for over three decades, our materials and technology have been helping to radically improve protection in vehicles, saving countless lives. The high strength and impact resistance of our high-performance Twaron® and Endumax® solutions allow for enhanced bullet- and fragment protection, without fail. And the high performance to weight ratio of our materials keeps vehicles and people moving through danger zones – quickly, agilely and safely. 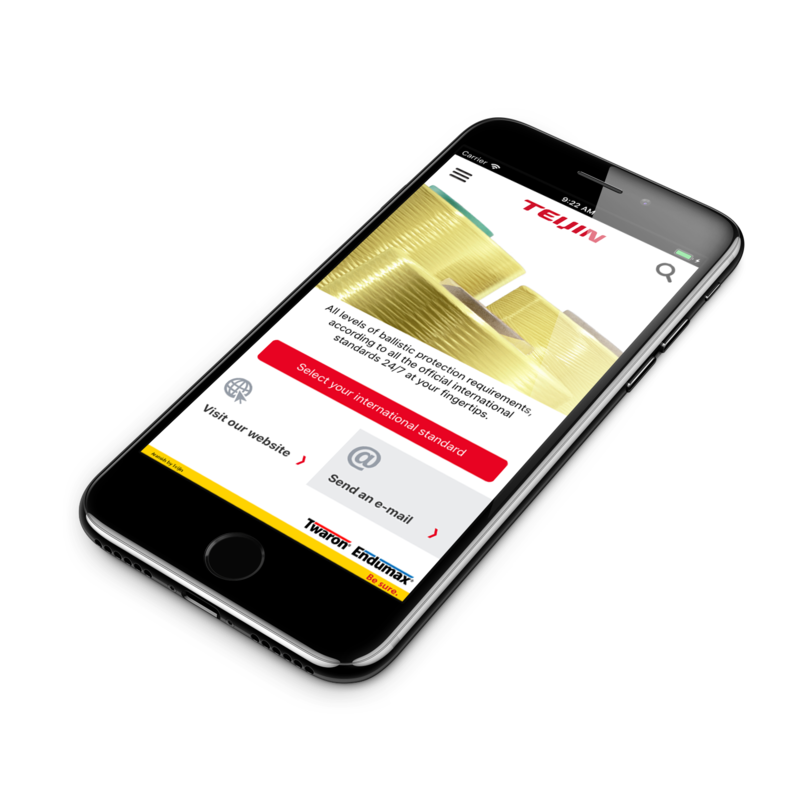 With Twaron®, our para-aramid fiber, and Endumax®, our ultrahigh molecular weight polyethylene film, Teijin delivers the materials and ballistic solutions for multiple levels of threats – from direct fire and shell fragments to high explosives. Our materials possess an excellent energy-absorption-to-weight ratio, enabling a 30 to 60% reduction in weight compared with ballistic steel. The result? Vehicles that are light, mobile and maneuverable, when it matters most. What’s more, Twaron®- and Endumax®-based spall liners form an extra protective layer inside the vehicle, offering outstanding protection against secondary fragments from steel or ceramic armoring plates. It all adds up to enhanced vehicle performance, and superior protection for passengers and cargo. 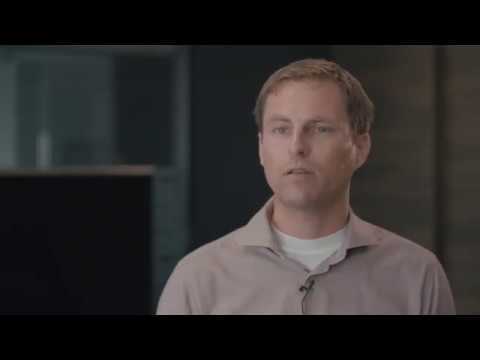 We offer customized and practical advice to our customers throughout the development process. Our dedicated team of ballistic materials experts will be happy to advise you on the best solution for your application. 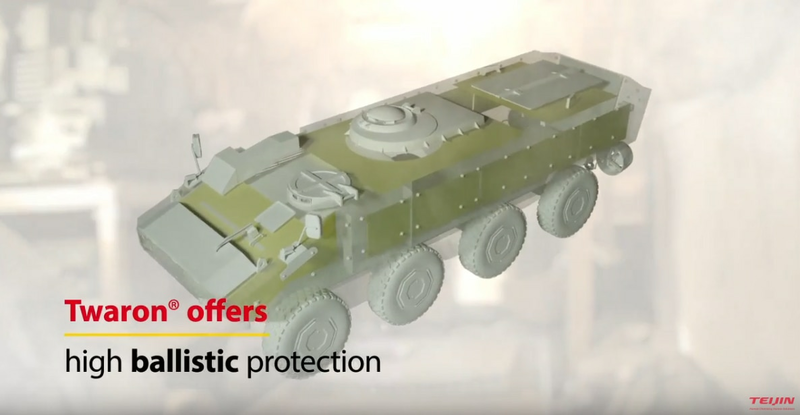 With over 125 years’ experience in munitions and defense equipment, Rheinmetall understands exactly what safety means to military personnel. 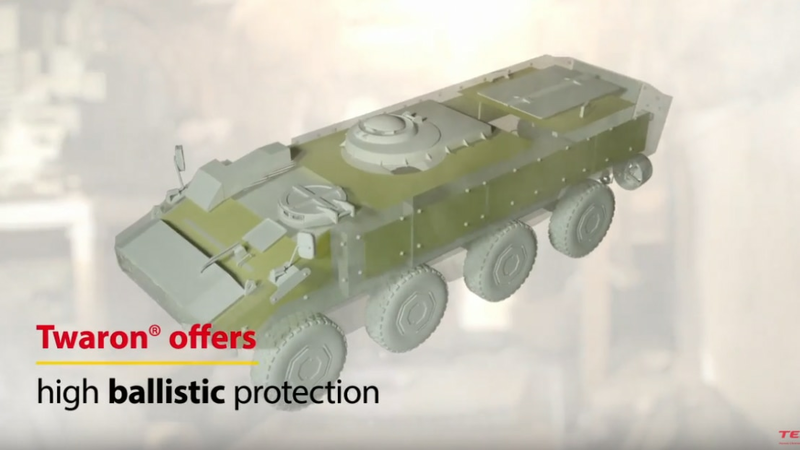 Since the early 1990s, the Germany-based technology company has been integrating Twaron® into its defense solutions, leveraging the fiber’s unique properties as well as Teijin’s reliable supply service.